Product code: ES891 Category: Sold Rings. Aquamarines have such a wonderful pure blue colour and match so well with white gold and of course the sparkle of diamonds, and here we have a classically designed aquamarine and diamond ring set in 18ct white gold. 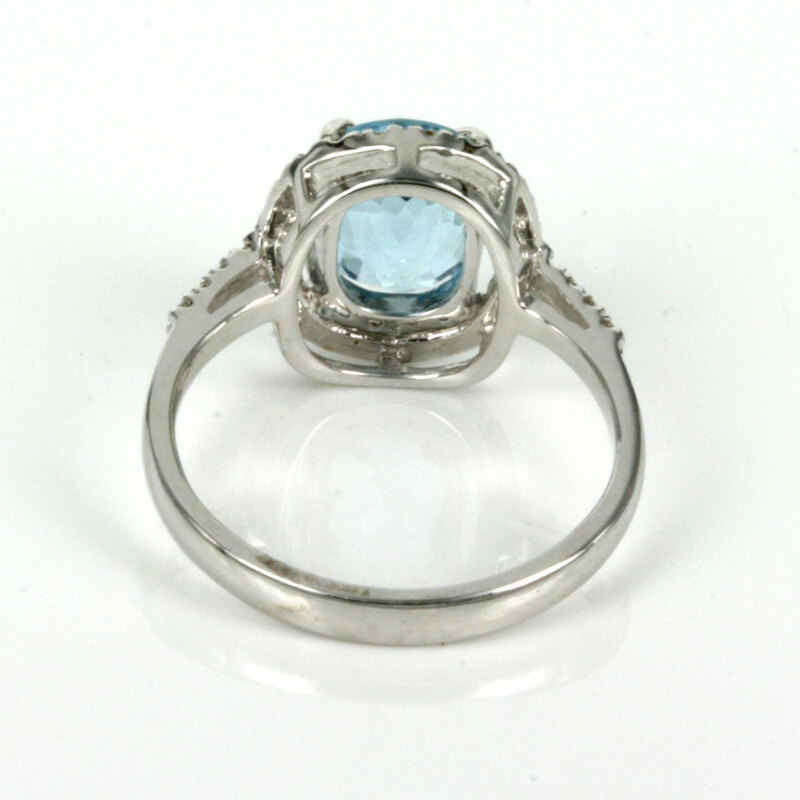 The oval facetted aquamarine is the star of this ring and measures 1.82 carats and has such a perfect blue colour to it. 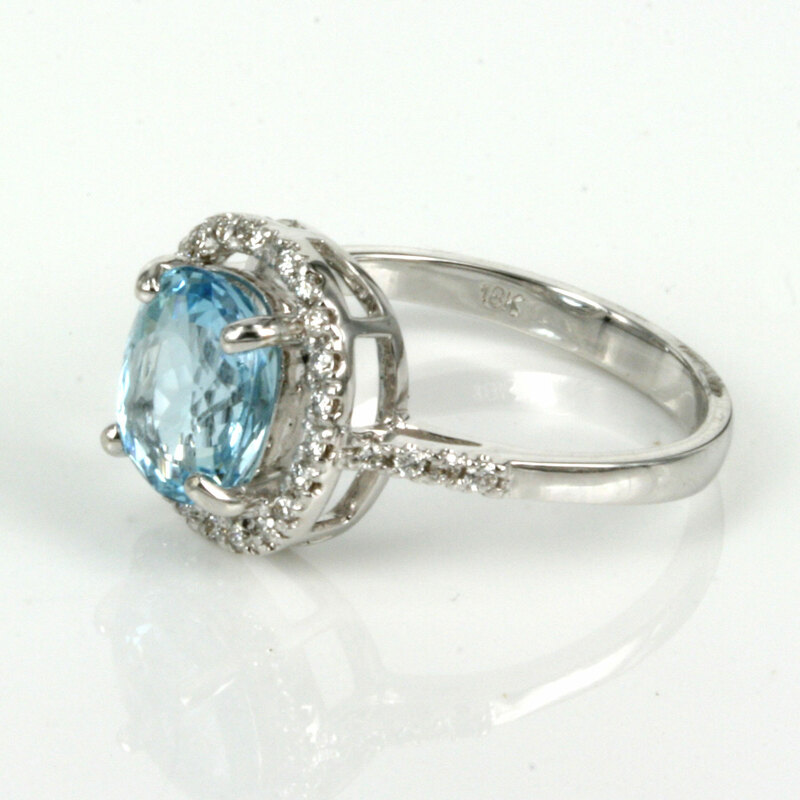 Surrounding the aquamarine are 22 round brilliant cut diamonds and highlighting this ring even more, the ring is further set with 4 round brilliant cut diamonds on each side. The total diamond weight is 0.22 carats and all the diamonds sparkle magnificently and really make this ring stand out even more at night. From left to right, the oval setting measures 11.4mm by 12.2mm and is the perfect size to wear all the time. 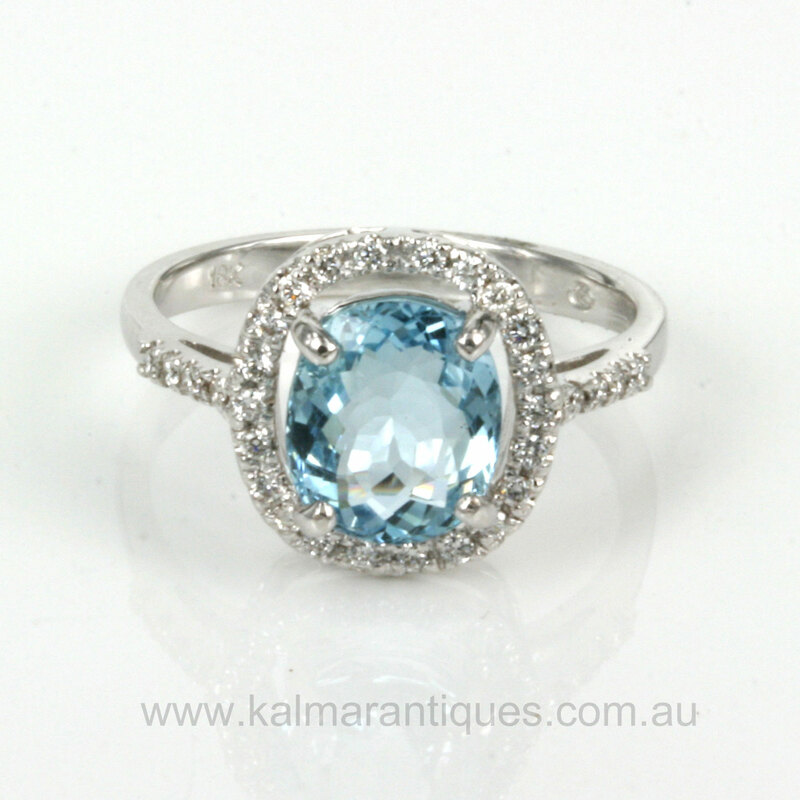 This is such an attractive aquamarine and diamond cluster ring that will simply always be adored.